Dry Red Chilli 4 no. Soak Beans over night or 6-7 hours and pressure cook or cook till soft and tender, then drain excess water and keep ready. Cook Moongdal with enough water till it is soft and cooked. (optional, you can skip it too). Then heat few drops of oil in a pan, and roast dry red chilli, channa, urad dal, jeera, curry leaves for 3-4 minutes in medium heat until dal turnd light golden brown and flavor comes. And remove the roasted ingredients to a separate plate and now to the heated pan add coconut and roast for few seconds(if using dried ones) or if using fresh roast till moisture leaves. After that, allow to cool it for a while and grind everything to a fine coarse powder. Then heat oil in a kadai, when it is hot add mustard seeds allow to pop and add urad dal and roast till golden brown. And then add black beans, roasted spice powder, hing, salt and stir fry for 2-3 minutes. Lastly add cooked moongdal, finely chopped cilantro and give a nice stir and switch off the stove. 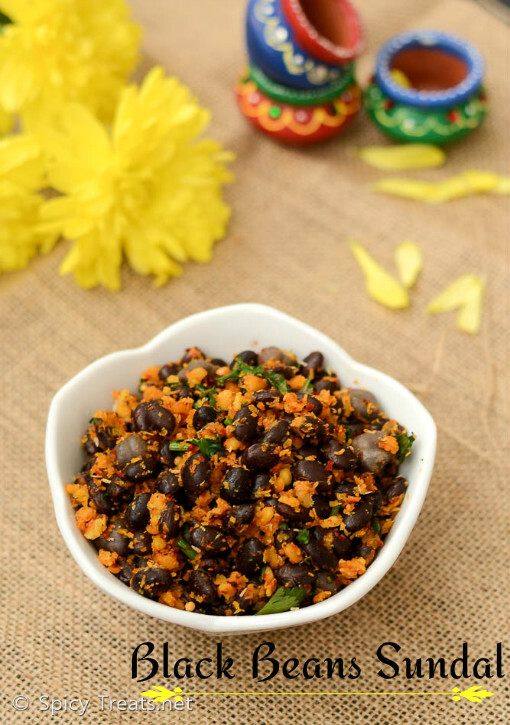 That's it..flavorful and tasty Black Bean Sundal ready. 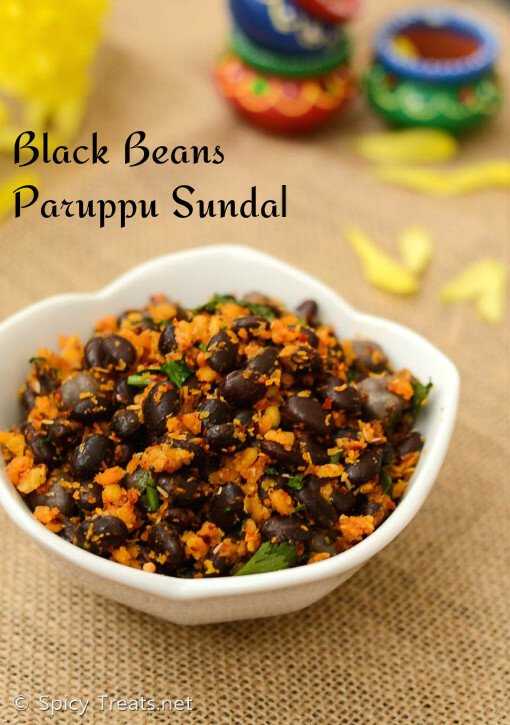 For Quicker method, you can also use canned beans, if so rinse well and use it in the recipe. Adding moongdal is optional, but sure it gives great flavor and taste. Also more quantity. You can also add 1-1.5 tsp of sambar powder or kuzhambu milagai thool and grated coconut instead of adding roasted spice powder. 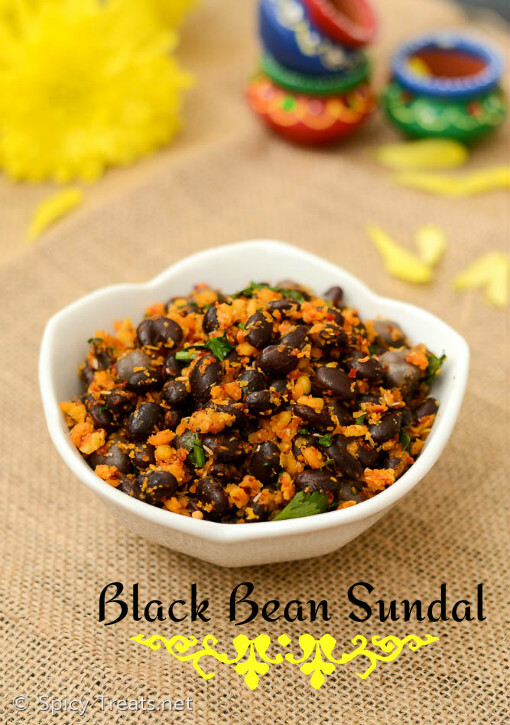 Delicious sundal, loving the fresh ground masala..